You are here: Home » Featured » Nashville Opera Names Kira Florita Sr. Dir. Nashville Opera, the acclaimed performing arts organization, has named civic and business leader Kira Florita to the newly created position of Senior Director for Advancement. The company has strategically focused on collaborating with a wide range of organizations and businesses to extend the reach of the art form, and Ms. Florita’s experience will assist in these endeavors. In addition, all of the company’s fund raising activities will be overseen by Ms. Florita when she assumes her duties at Nashville Opera on Friday, August 27. Florita most recently served as the Executive Director of Leadership Music and is an alumnus of the Class of 2000. 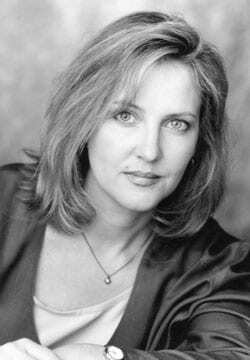 Prior to Leadership Music, Florita had been Director of Special Projects for the Country Music Hall of Fame® and Museum, served as one of the founding executives for the launch of Lost Highway Records (Universal Music Group), and directed the marketing for the 8-million selling O Brother, Where Art Thou? soundtrack. Nashville Opera, Tennessee’s largest professional opera company, has presented three different world premiere operas since its inception in 1981. It’s extensive education and outreach touring program reaches over 30,000 students throughout Middle Tennessee. These projects are supported by grants from the National Endowment for the Arts, the Tennessee Arts Commission, and the Metro Nashville Arts Commission.